This page will eventually have information for snake lovers like me. Also, live webcams from their habitats soon! What a beautiful snake! I love snakes. I used to have a baby corn snake when I was a kid. 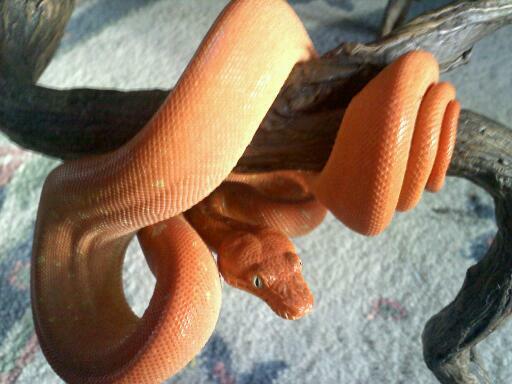 Corn Snakes are awesome! I’ve had an albino, a regular, a ghost corn and an anery one. and not being afraid of snakes to go catch’em. I fugally remember the pink house across the street as my two sister’s and I would go over there to play/interact with the kids that lived there (you and your siblings). That would have been in like ’83-’84. So young and oblivious to the fact of you’ll being follow Clayton’s or of any relation.